Bringing home a new baby is one of the most exciting (and scary!) times in a parent’s life. We want everything to be just perfect for our new bundle of joy, and safety is usually at the forefront of our minds when thinking about our new baby. Even though the baby won’t be moving around for months, we often have already baby-proofed every inch of the house from outlets to cabinets, and friends at the baby shower spoiled us with the latest monitors and crib toys. One of the very first shower gifts we use is the car seat to bring our sweet baby home! The United States Department of Transportation has a division called the NHTSA – National Highway Traffic Safety Administration. This department offers handy information for parents and caregivers alike, answering questions about car seat safety, school bus safety, teen driving and more. You can find them online at https://www.nhtsa.gov/parents-and-caregivers. Fortunately, car seats and boosters offer protection for our babies and toddlers each and every time they take a ride in the car. 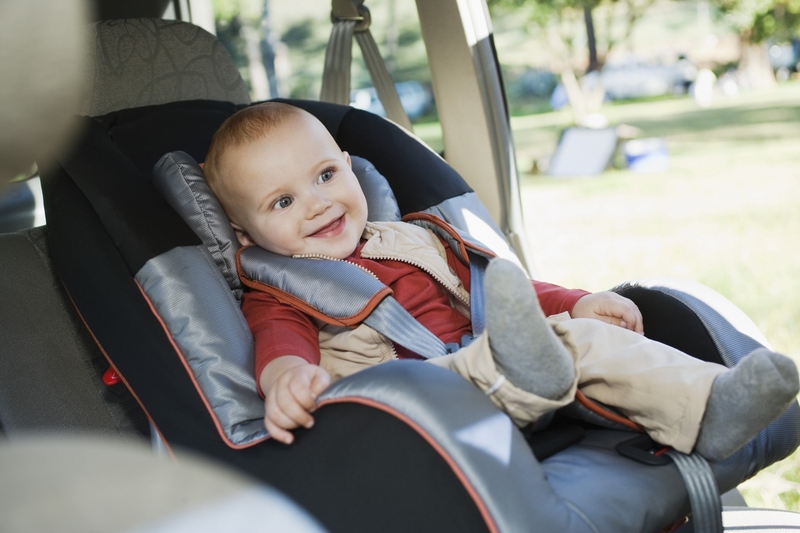 The NHTSA has links to car seat types, offering parents information on the four main types: rear-facing, forward-facing, booster seat, and the standard seat belt for older children and adults. All car seats have a variety of seat backs and harness options. Keep in mind that not all car seats fit in all vehicles, so it’s important to do your research when selecting the best car seat for your specific needs. This type of car seat is best for the youngest of children, and also ideal when bringing your baby home from the hospital. It offers a safety harness which helps in the event of a crash because it cradles and moves with your baby to reduce physical stress. Babies usually outgrow a standard, rear-facing car seat by 9 months. Since it’s recommended that your baby be in a rear-facing car seat until the age of two, there are other options available when choosing a car seat for your family. Many manufacturers offer convertible rear-facing seats to accommodate your child as he/she grows. The convertible seat can eventually be changed to forward-facing with a safety harness and tether. The benefit? It can be used with children of various sizes to ideally keep your child in the rear-facing mode longer, which is the safest position for your child. When you are ready to switch to forward-facing, you can use the same car seat, thus making the convertible seat so desirable. All-in-one car seats even offer the booster seat option to use later. Forward-facing car seat. This particular car seat offers a harness and tether that reduces your child’s movement if a car crash happens. The forward-facing car seats also offer convertible seat options that switch to a rear-facing seat to a forward-facing seat, a combination seat that switches for forward-facing, and an all-in-one option for a booster seat. In the blink of an eye, your newborn will appear in your rear-view mirror as a bustling toddler and they will need to be secured in a booster seat. Booster seats work well because they position the seat belt properly on a smaller child’s frame. Some booster seats come with a high back that is designed to boost the child’s height and provide neck and head support. The backless booster seats are designed to boost the child’s height so the seat belt works properly. Backless booster seats do not provide head and neck support, though. As stated earlier, many booster seats come as an option in the all-in-one seat systems. For older children, when securing a seat belt, it should lie across the upper thighs and be snug when crossing the shoulder and the chest. This restrains your child properly when involved in a car crash. A seat belt should not cross the stomach area or go across the neck or face of your child. As children grow, your car seat needs for them will change. Make sure your car seat fits your child’s size, weight and age. When purchasing a car seat, make sure it’s one you can easily install correctly and transfer when using multiple vehicles. On the NHTSA website, you can find and compare seats, research installation help, and look for inspection information. Many public service offices, like fire stations and police stations, offer free clinics to help either install your car seat or check that it’s installed properly. If you have additional questions about car seat options and resources for your child, The Association of Childcare Physicians can offer suggestions to put you at ease. There are many makes and models of car seats available, offering the safety you require. If you have questions about car seats or any other overall wellness concerns, please give Dr. Shaw or Dr. Kellow a call at 618-235-2311. If it’s time for a check-up, visit our website to set up an appointment today!